Brighton is derived from two words Bright and Nation; an amalgamation of these two reflects the vision behind Brighton. The school started with its humble beginning in 2010 in Raipur and due to its modern pedagogy, systematic lesson planning thought trough curriculum and procedures, Brighton International School has today become a known name in the country. Other than its state of the art infrastructure, the school has made a mark through its modern approach and outlook. Brighton's philosophy is education should have its roots in the wisdom of past, imbibe pedagogy with the technology of tomorrow still meeting the educational needs of today. Brighton aims to be that place of learning, with its concerns firmly grounded in the interest of its students/parents and goodwill of its teachers. The DNA of Brighton is an idea categorised as under 'work in progress', the spirit of Brighton believes in improving itself every day of its life. Brighton International School, an idea whose time has come. It needs a lot of teaching to get into the Business of Education today. Not only should one be Visionary but also an immaculate planner and meticulous executioner. School as an establishment is a very capital-intensive investment; the break-even can take as long as 8 – 10 years. Once established well in the initial years, the institution can create value beyond imagination where a promoter can earn a name socially and financially. Brighton International School with its expertise in academics and sound knowledge of how an educational institution should operate can do wonders for a new Greenfield project. 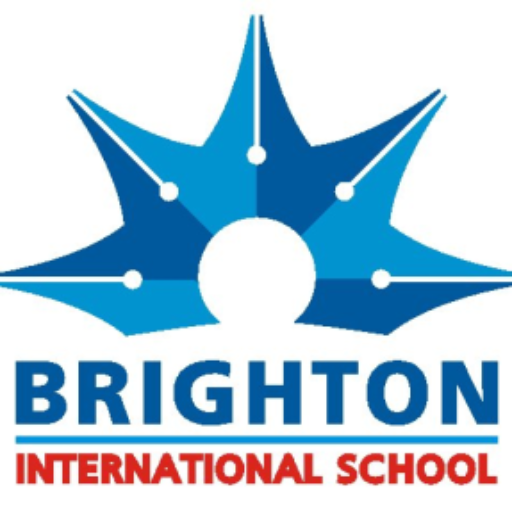 •	Brighton International School shall help you provide the Curriculum, the Brand, Marketing Support, School Operating Procedures and complete handholding consultancy to run the school from inception, admission to affiliation. Brighton is a partner with LIFE Educare which is one of the leading Education consultancies in India. LIFE has been working tirelessly to bring about the world-class practices at Brighton. The onus of taking the name Brighton forward firmly lies with this wonderful organisation where LIFE is helping develop the entire roadmap for Brighton's expansion. 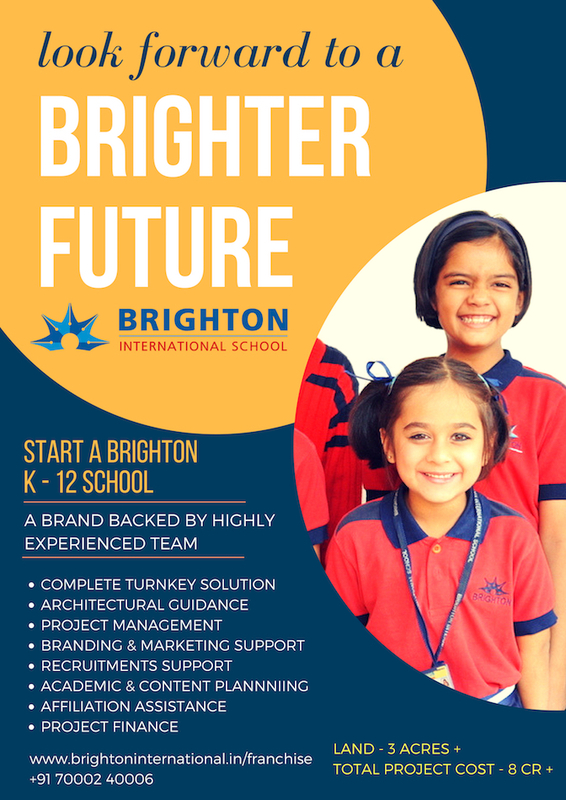 Brighton International School brand will always aim to affiliate itself to CBSE, ICSE or IB Board. The CBSE board is most preferable and is suggested to partner schools. Below given land requirements are adequate for CBSE and also help schools to put together a suitable infrastructure. In metropolitan cities with a population exceeding 25 Lakhs, the land should not be less than 1 acre with adequate building and there must be an arrangement with other institution/organization for imparting physical & health education and conducting games in their grounds. The minimum land area required for the schools in NCR, Delhi is 4000 sq. mts. In hilly areas, the land should not be less than one acre. The norms as prescribed by the Planning Commission shall be applicable for determining the eligibility in hilly areas. In all other places, the school must possess at least about two acres of land and a building constructed on a part of the land and proper playgrounds on the remaining land. In case of the lease, it will be acceptable only if it is for a minimum of 30 years and in favour of the Society/School by the registered deed. The school must possess about 10 acres of land. This type of school will have the CBSE system and may/may not offer the IB (International Baccalaureate) system. Apart from the land, you need to invest in the construction, the cost of which may be from Rs 1200 per sqft onwards (Including furniture and interiors), depending on the fee that is being targeted in your school. You should also be able to secure bank funding for a majority of this Fee structure, fee billing forms, and procedures. amount. Banks may also give a one-year moratorium, which will help you settle down the school. Within a year, you will be able to reach a stage where you can start paying the bank installments, from the money you get from fee collection. Hence, to start a school, you need the required land and some working capital too. Brighton International School in association with its sister concern will provide a robust support to Partner Schools and will help them Evaluate the idea, Execute the Project and Manage the School for the first Two years of operation. Express your Interest by filling this form. Our team will get back to you after considering your request. Section B: Tell us about your city. Geography is important! 13. Other than promoter what role you see for yourself in your school: ADMINISTRATIVE & MANAGEMENT. 14. What is the kind of investment you are looking to make. A school will require an investment of more than 2 crore rupees other than the cost of land. How are you planning to raise funds?